At the Deep Learning Summit, topics covered will include Reinforcement Learning, NLP, Computer Vision and Image Retrieval. 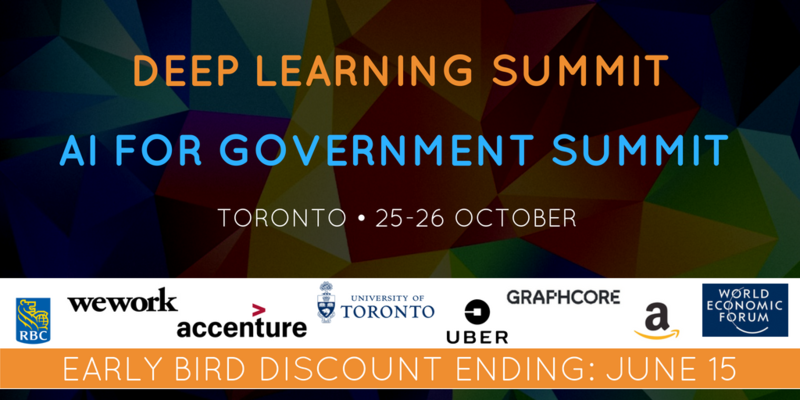 The AI for Government Summit will explore topics such as Enterprise Software, Government Transformation, AI Regulations and more. Save an additional 20% on Early Bird passes when you sign up before 15 June with the code KDNUGGETS. 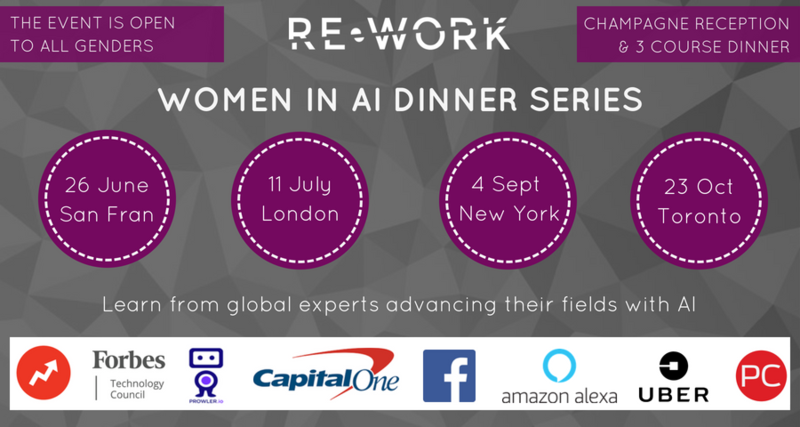 With RE-WORK you can have a drink with Yann LeCun, the father of deep learning, and meet smart industrials and great scientists all in the same place. What's amazing about the Deep Learning Summit is hearing how all of these different applications can be applied using the same model - so what we've learned is to get creative! I'm not going to move to the Silicon Valley, the Silicon Valley should come to Canada. I am committed to Toronto, and we are going to publish all the research we do there. As a female-led company, RE-WORK is a strong advocate for supporting female entrepreneurs and women working towards advancing technology and science. The dinners are open to anyone keen to support women in the industry. 100 ATTENDEES - network with experts in AI throughout the evening to learn about their research and applications. KEYNOTE TALKS - throughout the dinner, leading female minds will present their most recent and cutting-edge work. 3 COURSE DINNER - enjoy fine food and wine whilst advancing your knowledge and meeting new connections. CHAMPAGNE RECEPTION - network with both attendees and speakers over champagne. 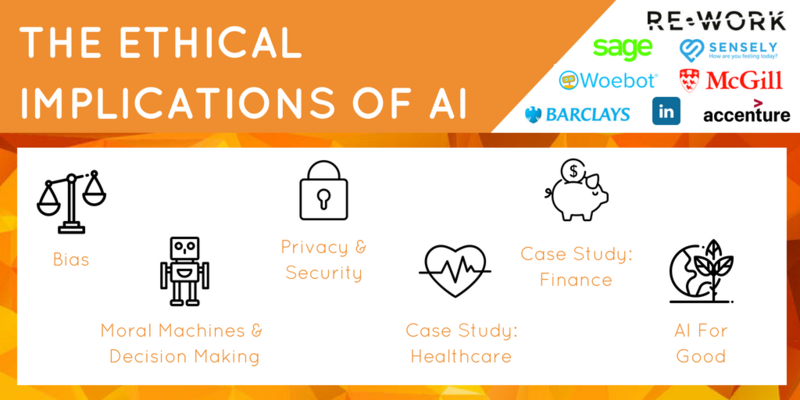 As AI continues to progress and businesses across the globe benefit from its capabilities, it's important to ensure that the technology is being harnessed for good, to create a better, fairer society. AI systems are already superior to humans in certain tasks such as image recognition, data analysis and problem-solving tasks. These advances present a wealth of ethical questions surrounding biases that could appear in the data, security issues, and potential consequences if systems are hacked or used irresponsibly. RE-WORK's recently published white paper hones in on these issues and challenges, with contributions from experts from the likes of Accenture, Woebot, McGill University, Barclays, LinkedIn and more. Keep up to date with the latest RE-WORK events here, and save 20% on all summits with the code KDNUGGETS. Copyright © 2018, RE-WORK, All rights reserved.